Page 3 contains ephemera related to Linda's Commencement Ceremony in June 1969. 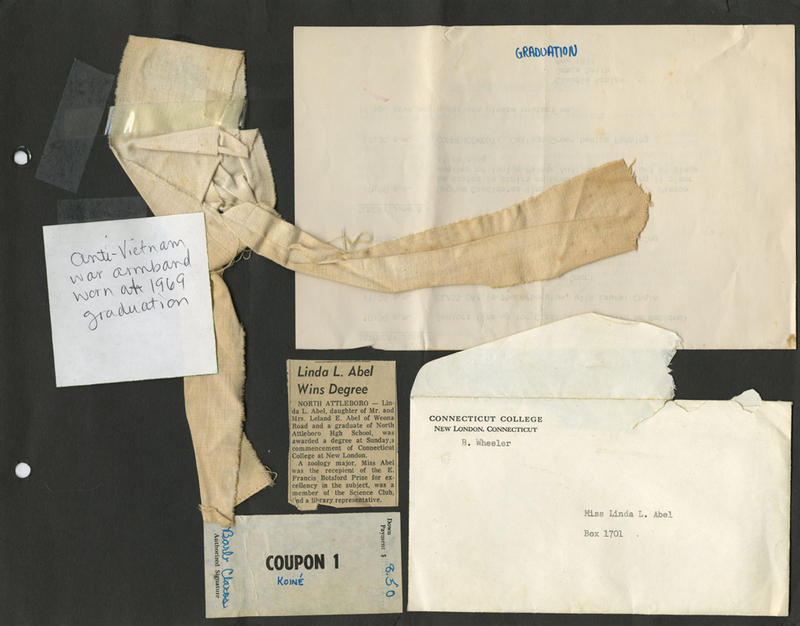 This includes: a white cloth anti-Vietnam armband worn during the Fifty-First Commencement Ceremony; A graduation rehearsal schedule for the Fifty-First Commencement Exercises; a small newspaper clipping indicating Linda Lee Abel received her degree and was the E. Frances Botsford Prize winner for excellency in Zoology; a letter from her instructor Bernice Wheeler congratulating Linda on her academic achievements; and a small unidentified coupon. 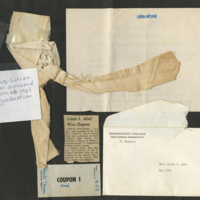 Abel, Linda Lee, “Linda Lee Abel Scrapbook Page 3,” Linda Lear Center Digital Collections and Exhibitions, accessed April 24, 2019, http://lc-digital.conncoll.edu/items/show/1079.